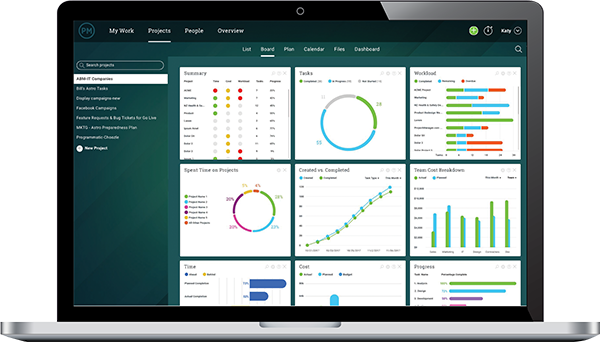 We’re the only software with powerful project management tools and real-time visibility for projects and teams. Get real-time visibility into your projects and your teams anytime, anywhere and from any device. With our robust, online project management software, you’ll always have access to the data, tools and team members you need. With ProjectManager.com, you can effortlessly start a project and onboard your team because our software is cloud-based, requires no training our rollouts, and can be accessed from Mac or PC computers. It’s never been easier to access powerful management tools that can handle every aspect of project management.